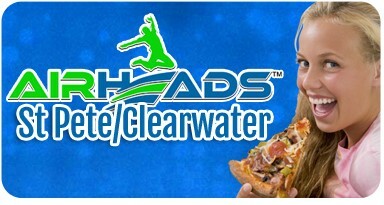 AirHeads Trampoline Arena is a go-to destination for weather proof family fun!. With unlimited jumping, dedicated dodge ball, group fitness classes, birthday parties and a huge arcade, it's easy to see why AirHeads is the best way to spend your day! The Florida Aquarium is a 501 not-for-profit organization, publicly operated institution located in Tampa, Florida, United States. It is a large scale, 250,000-square-foot aquarium and is accredited by the Association of Zoos and Aquariums. 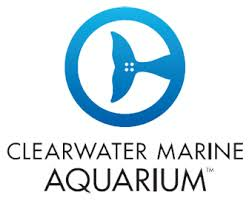 The Clearwater Marine Aquarium is a 501 non-profit organization, and aquarium in Clearwater, Florida, the hours of operation are subject to change. It is dedicated to the rescue, rehabilitation and release of sick and injured marine animals, public education, and animal-assisted therapy and research. A High-Flying, High-Energy, Healthy, Fun Zone With Wall To Wall Trampolines! Date Night. Toddler Time. Sensory Hours. Glow Zone. 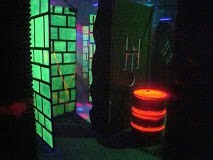 Services: SkySlam, Warped Wall, Drop Zone, Foam Zone. 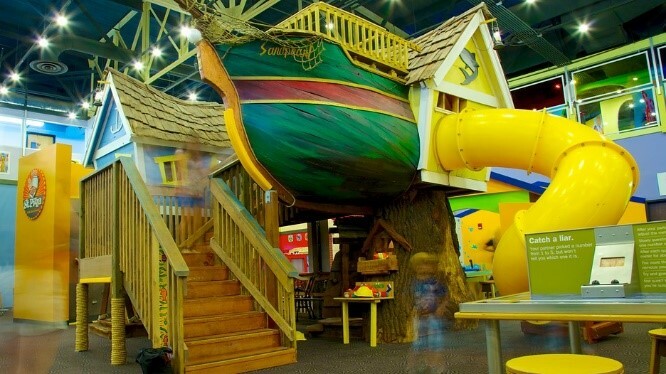 Children's Museum, Historical Place Great Explorations Children's Museum has served the children and families of the Tampa Bay area since 1987. Designed for children 10 and under, the 24,000 square foot museum is filled with exhibits and activities to stimulate learning through creativity, play and exploration. The museum also offers a national award winning preschool, camps, field trips and community outreach programs.